Moto-mania. O novo carro chefe Moto Z da Lenovo não apresenta apenas tecnologia de gama alta, mas também quer atrair clientes com a sua expansibilidade modular, bem como o design do chassi extremamente fino. O conceito funciona na prática ou existe alguma desvantagem como uma duração reduzida da bateria? Moto Z: a análise completa! O design do Z é praticamente o mesmo dos irmãos Z Force e Z Play, principalmente na frente. O que muda fica em detalhes menores e na moldura dos aparelhos. No caso, a do Z é em alumínio aeronáutico, o que ajuda a deixá-lo "leve" (são 136 g), e com pouca espessura. O conteúdo do Canaltech é protegido sob a licença Creative Commons (CC BY-NC-ND). Você pode reproduzi-lo, desde que insira créditos COM O LINK para o conteúdo original e não faça uso comercial de nossa produção. Motorola didn’t dial back the performance of the Moto Z to set new thinness records or to make way for these magnetized accessories. Its specs are the same as its top competitors, including the ZTE Axon 7, HTC 10, LG G5, and Samsung Galaxy S7 and S7 Edge in the US. It has the same processor, RAM and internal storage and even a microSD card slot (no modding needed). The 13MP camera on back and real-flash-included 5MP camera in front are solid, though you can’t miss that extreme camera bump in back. Somehow, even with that bump, it’s still not the best in the world, just really good for everything but low light. يعتبر موبايل لينوفو موتو زي اختيار مناسب للمهتمين بشراء موبايل بتصميم نحيف و اداء قوي و إضافات ذكية تجعله هاتف فريد من نوعه، إكسسوار سماعات JBL يعطيك تجربة صوتية مميزة مع درجة صوت عالية و نقية لن تجدها في الموبايلات الاخرى التي تتوفر في نفس الفئة السعرية، و ذلك بالإضافة لباقي اكسسوارات Moto Mods الذكية إكسسوار Insta Share بروجيكتور، و إكسسوار بطارية إضافية، و إكسسوار Hasselblad True Zoom الذي يعتبر كاميرا اضافية للموبايل مزودة بـOptical Zoom حتى 10X. Lenovo moto z is having latest features such as moto-moods functions, which is totally new thing in technology world. The camera results are very impressive and with 4GB RAM it is providing us a fast and better experience. The device can easily compete with its competitors and we have tested the device in every section and it has performed very well. I’d be lying if I said I didn’t buy into Moto’s idea of a “modular” smartphone. It was just so simple and elegant that you can’t help but think: “Why didn’t LG think of this?” But I made those assumptions based on what I saw at the launch. The Moto Z is a very good flagship device, this much is true. The many Moto Mods add functionalities to the device other smartphones simply do not offer, and its capable camera – although not perfect – and polished software experience make it a very pleasant smartphone to use. Everything else about the Moto Z is really solid. Its camera (without the add-on) is a 13-megapixel shooter with f/1.8 aperture. It focuses very fast (but not as fast as the S7 Edge) and has a manual mode, which will come in handy because in auto mode the camera's white balance tend to be too cool. In low light, the camera is a disappointment. It doesn't take in nearly as much light as the HTC 10, S7 Edge or LG V20, and images have a lot of noise. If you're just going for a Style Shell and the battery pack, the Moto Z would actually make an ideal purchase. Otherwise, the entire package would be a huge blow to the bank account, and getting just one other module defeats the purpose of having a modular, hot-swappable phone. Don’t let that deter you from the Moto Z itself. The phone is sleek and fast. It’s safe to say that Motorola (Moto) is back in epic style and I couldn’t be happier. If I was to score it I’d give it a solid 9 out of 10 because #bringbackauxport. In fact, I'd rather have had a thicker phone with a better battery. The lack of a headphone jack is another annoyance, but one that pales in comparison to the battery. Did I mention the terrible battery? Let's be clear - the Moto Z is a pretty good device - but it does have some caveats. While the handset is snappy and the Android experience is close to stock, the camera and battery are two areas where the Moto Z fails to impress. While the camera software can always be tweaked in a later update, the battery will always remain the same, and 2600 mAh is simply not enough. While those that are on Verizon will have the option of going with the beefier Moto Z Force with a larger battery, there is no GSM equivalent of that handset. Instead, Lenovo's only option for GSM users is the Moto Z Play, that offers a larger battery, but at the expense of 1GB RAM, 32GB onboard storage, and a mid-tier CPU/GPU. 100% Lenovo Moto Z in-depth review - Snap this up! To be fair, there aren't really many negatives I can point out about this phone and its winning the Mobile Choice Consumer Award 2016 for Most Innovative Device proves it is far ahead in the pack than its peers. Pure Android is another plus as are the fast charge capabilities. The Moto Z is quite simply, one of the best devices that the company has made. Not only is it a gorgeous phone in it’s own way, it also paves the path for a new brand of modular phones and keeps the legacy of Motorola alive at Lenovo. Motorola's take on a modular smartphone is definitely a lot stronger than any other we've seen before. Even without considering the mods, the new Moto Z is a powerful, stylish phone with a lot to offer. Almost everything about it looks good and works well. This is a great phone for those who want style and power, but aren't necessarily going to run heavy apps all the time. The ability to use mods is of course the biggest draw, so be sure to read our detailed reviews of the Hasselblad True Zoom camera, JBL Soundboost speaker, and Moto Insta-share projector. If you’re looking for a smartphone that’s versatile, has decent battery life, and has options to “mod” your phone, the Moto Z and Moto Z Play are definitely a pair of smartphones which shine in a field that has become relatively stagnant over the past couple years. I REALLY hope that the Moto Mods system takes off and sticks around for a few years because I can really see the potential for such a system. At £499, the Moto Z is obviously priced like a flagship, but justifies the cost well. It offers a beautiful design and a stunning screen, a unique feature set thanks to its Moto Mods compatibility, excellent battery life with the benefit of fast charging, smart UI elements and a great (although not class-leading) pair of cameras. These are the four main Moto Mods available now. What I love about each of them is how easy they are to swap in and out to bring the Mod’s particular properties to your Moto Z phone. I like how they charge when they are attached to a charging phone, and I like how they have their own batteries so they don’t drain your phone any faster than absolutely necessary when in use. Camera wise, however, the Z leaves a bit to be desired as I found the Moto Z’s focus to be too slow for how I typically use a smartphone’s camera. Aesthetically, the Moto Z looks spectacular and features a unique look that helps it stand out from other smartphones on the market, though I still prefer the Note 7’s mix of smooth lines and angles to the Moto Z’s more blocky shape. 87% Lenovo Moto Z testte! 82% Hurra, es ist modular! So muss ein Smartphone mit Modulen aussehen! Test, recenzja, opinia – Lenovo Moto Z (XT1650-03) – największa smartfonowa innowacja 2016 roku! 78% [Recenzja] Czy Lenovo Moto Z to najbardziej niedoceniany smartfon? Xài thử Moto Z: chỉ mỏng thì có đủ không? O Z superior? Como o irmão mais barato do smartphone carro chefe Moto Z, o Moto Z Play também pode ser expandido mediante Moto Mods. Além de uma bateria maior, também está equipado com uma câmera principal de resolução mais alta a um preço muito mais baixo. Nosso teste revela quais recursos ele não possui. Um lançamento que deriva da linha Z, manobra que a Lenovo tem usado com a Motorola desde sua aquisição, e que tem confundido o consumidor e trazido controvérsias. Confira agora 5 motivos para NÃO comprar o Moto Z Play. Muita gente gostou do Moto Z e sua proposta modular, porém o preço proibitivo afastou muitos interessados em ter o KIT da empresa. Com um valor (menos) abusivo, chega o Z Play. Confira agora 5 motivos para comprar o Moto Z Play. As a premium mid-range device, the Moto Z Play is a tad underpowered, with other lesser priced offerings producing a similar smartphone experience. If, however, you add the Moto Mod system into the mix, the Moto Z Play begins to show its worth. I was lucky enough to have the Moto Z Play in my hands to review for a good few weeks to make sure I was able to get the most from it, as well as the mods that came included. It's big, fast, and lasts a full day without even breaking a sweat, which makes the Moto Z Play one of the best options for people wanting a phone with seemingly never-ending battery life. The Incipio Mod attachment takes battery to the next next level too. The mods are exciting, the performance is on par with mid-range smartphones but the Moto Z Play's price is overly inflated because you can add those awesome mods. We do love vanilla Android but not enough to pay premium prices for mid-range specs. It's a good handset but it costs too much. The Moto Z Play is a decent option if you’re looking for a sub-S$700 mid-range alternative. Modules aside, it packs a decent mid-range processing subsystem that outclasses its peers with older processors, while giving its flagship Snapdragon 820 brother a run for its money. It packs an impressive battery life – a core feature for just about any smartphone user pushing long hours of work, every day. Besides decent specs and battery life, you’ll also find other expected features for its class – be it a fingerprint sensor, 3.5mm headphone jack, a bright display, a functional camera, and the list goes on. Coming from the perspective of a diehard HTC fan, the Moto Z Play is what the HTC U Play should have been when it comes to hardware and features, Lenovo has definitely maintained Moto's reputation well by ensuring a stock Android experience while delivering the latest Android software update without much delay, the benefit of sharing the Moto Mods with the Z Play's flagship brother is a very commendable effort. 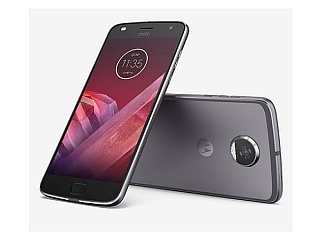 Unfortunately, the Moto Z Play's asking price of RM1,799 is a shame considering that the phone alone doesn’t have any attractive selling point, apart from being a rock solid performing device, buying the Moto Mods will also cost you a fortune and doesn't guarantee support for future Moto devices. However, if you prefer an alternative to the Google Pixel or the Nexus 6P for pure Android software, the Moto Z Play should be in your consideration. Moto z Play is the latest device with many advance features such as moto-moods which can serve you in many purposes like extra camera lens, projector display and many more. It has 32GB ROM and 3GB RAM while camera has 16MP and 5MP lens with many other big features. It has good price value according to its features and it can give tough time to its competitors easily because of its stylish design and new features. The Moto Z Play is a strange phone to assess. It has the same bold innovation as the Moto Z, but its extra chunkiness makes it inherently less appealing. It’s considerably slower, too. 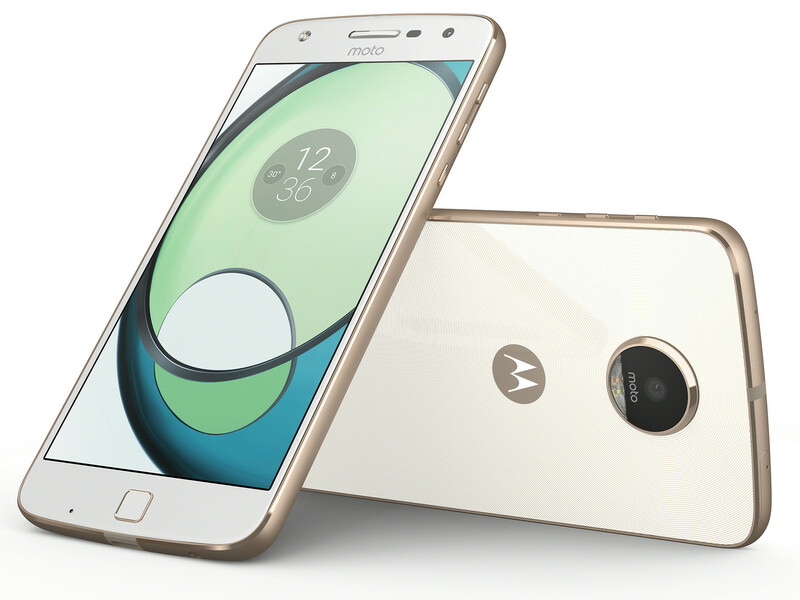 Then again, it has amazing battery life and a 3.5mm headphone jack – both of which the Moto Z lacks. Nonetheless, the Moto Z Play is both more expensive than the OnePlus 3 and a poorer performer. Moto Z Play is not a high-end smartphone but it definitely sits in the mid-range. This can be clearly seen at first sight when you spot the metal frame and elegant glass back, which attracts fingerprints though. The latter can be escaped if you add a Moto module, be it just a different panel or one with JBL speakers or mini projector. It is namely this option of adding various modules that is the main highlight in the entire Moto Z lineup, and it definitely appealed to us – the way you attach and detach the modules as well as the way they operate. It is hard not to have mixed feelings for the Moto Z Play and for that matter, most new Moto offers. On the one hand, we're talking the legendary manufacturer (albeit now under Lenovo management) that many people still tend to trust for quality and reliability. Plus, in the new Vanilla Android world, where Google is no longer a distant overseer, looking down on its followers and guiding them, but rather an active market player in the big leagues, Motorola is still a go-to choice for a good AOSP experience. 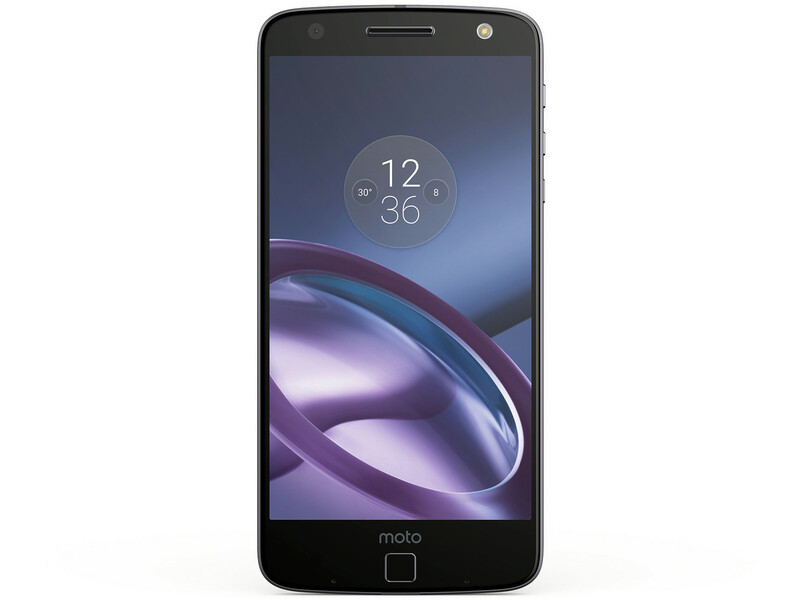 The Moto Z Play is a great affordable mid-range mobile which boasts particularly strong battery life, plus strong media chops and the unique Moto Mods expandability. Of course, Moto Mods are still far from an essential feature, and we’re yet to see if Lenovo will support this modular functionality for the long haul. But even if not, the Moto Z Play should please users with its general all-round appeal. Only if you're looking to buy a Moto phone with outstanding battery life and some modularity along the way (for cheap). For everybody else, the Moto X Play - even though it is one year old now -- still remains to be a fantastic all-rounder and recommended buy. If however you're looking to overlook all the Moto aspects (stock Android and timely updates) that come as part and parcel with the Moto Z Play (or the Moto X Play, for that matter) there are more powerful phones in the market at under Rs 30,000 right now. The OnePlus 3T and the Nubia Z11 are a few of them. The Asus ZenFone 3, meanwhile, is a recommended buy if you're looking to buy a phone that you can flaunt. It has a fantastic camera, too, by the way. When it comes to smartphones, the word "modular" conjures up thoughts of Google's Project Ara - a futuristic take on what a smartphone could be. Not long after LG had a stab at mainstream modularity with the LG G5, Moto presented their vision with the Moto Z family. Moto Z Play is priced Rs 24,999 and should I buy one? We would say yes. While the Z Play isn’t the best device when you look at the specs, it provides an all-round experience with good build, display, stock Android, good performance and exceptional battery life. The only area where we feel Moto Z Play was a bit disappointment was the camera performance. The small-hand-friendly Sony Xperia X Compact is another tempting option, although its ugly design and slightly higher price put us off when we reviewed it earlier in the year. In the end, the Moto Z Play is a very well positioned phone for general consumers who just want their smartphone to work and power users who can get the most out of Moto Mods, alike. For that, we gladly give this phone a hearty recommendation. The Moto Z Play is impressive. It is one of the best value for money handsets on the market up there with the OnePlus 3. The modular platform is quite innovative and more than that it allowed Lenovo to bring down the manufacturing cost of the smartphone which in turn reduces the price paid by the customer. In case that wasn’t enough, it also retains the 3.5mm headphone jack. But while, in that respect, the Moto Z Play leaves one foot comfortably in the present, it also straddles the future with the addition of modularity. It is both groundbreaking and user-friendly, an immensely difficult mixture of qualities for any smartphone to attain, and one that makes the Moto Z Play one of the most superior smartphone choices on the market today. Even with those caveats, I’m still a big fan of the Moto Z Play. Especially for $400! It’s bound to be overshadowed by the new iPhones, the ongoing Note crisis, and Google’s upcoming Pixel phones. And that’s a shame, really. Looking at this series alone, I think buying the ultra-thin Moto Z or toughened Moto Z Force over the Z Play would be a mistake. If you’re tired of being tethered to a phone charger or battery pack, the Moto Z Play is probably the phone for you. It’s nowhere close to perfect. But frankly, a phone that really lasts two entire days doesn’t need to be. 86% Längste Laufzeit oder Power-Prozessor? 88% Test, recenzja, opinia – Lenovo Moto Z Play i projektor Moto Insta-Share Projector – czegoś TAKIEGO jeszcze nie było! O jogador fino. Com o Moto Z2 Play, a Lenovo atualiza seu smartphone de gama média que pode ser expandido através de módulos na parte traseira. O antecessor ofereceu uma duração de bateria muito boa e uma carcaça extremamente fina. Verificaremos se o sucessor talvez até tenha melhorado essas qualidades, no teste. A outra opção que aparece na faixa dos R$ 2 mil é o Galaxy A7 (2017), que foi anunciado por um preço mais alto, mas já foi desvalorizado pelo varejo. No entanto, ele tem menos memória RAM e espaço de armazenamento, o que no longo prazo pode fazer diferença para quem pretende ficar com o celular por pelo menos dois anos. Assim, se você tem R$ 2 mil no bolso e tá procurando um smartphone novo, olhe com carinho para o Moto Z2 Play. O Moto Z2 Play quer deixar bem definida a categoria “intermediário premium”, e deixa isso claro com seu corpo metálico e recursos bem estruturados. O dispositivo conseguiu ficar mais leve, mais fino e aumentou o poder de processamento, trazendo boas especificações. Motorola used to send regular phones to be reviewed and then they became part of Lenovo who have a different reviews team, so it’s been a while since one has crossed my desk and this only because it is one of a range promoted by Vodafone. Overall I was impressed with what Motorola had put together here. The Z2 Play has almost stock Android albeit with a few handy improvements here and there to enhance the experience. The Moto Z2 Play comes with numerous features available for the user. There is support for WiFi 802.11a/b/g/n, WiFi Direct, Bluetooth 4.21, A2 DP, ED8, GPS, NFC and a range of sensors that include Fingerprint, accelerometer, gyro,, proximity and compass, The Moto Z2 Play comes with a non-removable Li-ion 3000 mAh battery which supports fast battery charging giving 50% in 30 minutes. Running my usual continuous video playing test, I was able to get 9 hours 10 minutes of viewing time before the handset shut itself down. I was rather disappointed with the amount of playing time. Oh and something to point out if you are thinking ‘this review sounds a lot like the one you did on the Z Play’. Well, you are right and I did that on purpose, this is because apart from a few tiny changes, this looks and runs pretty much like the older model, it is not a massive upgrade in any shape or form. Moto can’t quite dominate the mid-range like it does with its G5, but the Z2 Play is a solid device with plenty going for it. I just wish it didn’t feel compromised by Moto Mods. All things considered, the Moto Z2 Play's fate comes down to fan love for the Moto Mod platform. 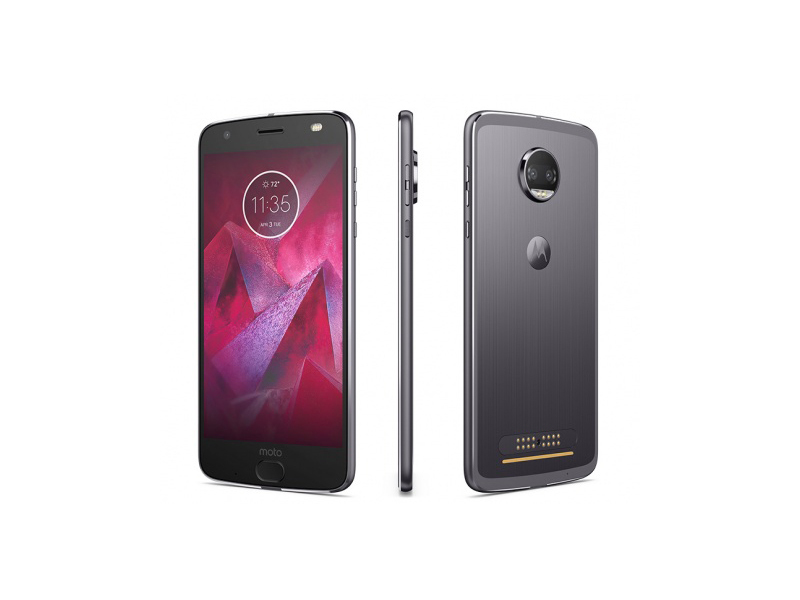 If you don't plan on exploring the modular concept and searching for specialized add-ons, like a sliding keyboard or a scientific measurement multitool, among other weird plugins that occasionally pop up on crowdfunding platforms, the Moto Z2 Play is pretty much like the next midrange phone. Still, Lenovo has shored up many weaknesses we saw in the original Moto Z Play. The more comfortable ergonomics, slightly thinner frame, gesture-sensitive fingerprint reader, and improved camera certainly offset the still midrange performance and slightly reduced battery-life. The Moto Z2 Play is a must-consider for any battery life junky, but also holds strong appeal with more mainstream audiences, thanks to its clean stock Android interface and useful Moto actions. Its only remaining pain point is relatively weak 3D gaming performance, but when doing without means incredible battery life, I'll happily take it as my daily driver. By treating add-ons as a bonus, not an excuse to skimp elsewhere, Motorola has made a great- value phone with plenty of options. The Moto Z2 Play is a pretty good phone, and the new home button and Android 7 are nice additions to what was already a slick design. The extra $150 to $200 you’ll spend on the Z2 Play versus the Moto G5 Plus is going toward the phone's modular capabilities and its colorful, and bigger, AMOLED screen. And if those features are important to you, this handset is a sound option for Verizon customers looking for something around $400. Unfortunately, the Z2 Play loses the epic battery life that truly set it apart. So, it looks like the Moto Z2 Play passes with flying colours. Compact design, good camera, good battery life, good performance, neat motion sensing controls, but some might not like the huge camera bump, and the panorama is still underwhelming. But there lies one bigger problem, though - it's priced at RM1999 excluding the Moto Mods that were listed earlier. If you get the Hasselblad, it'd be RM3298 in total. Omg, that's the price of a flagship! #GGMoney. 78% Moto Z2 Play – the most affordable way to get into Moto Mods, but is it worth it? With phones like this and the OnePlus 5 available to buy this year, it makes me start to wonder whether it's really worth paying full whack for a flagship smartphone at all. Our in-depth Moto Z2 Play review uncovers whether or not Motorola's first 'Z' phone of the year makes a worthwhile successor to the Z Play that launched only a few months ago. The Moto Z2 Play is a great mid-range smartphone; it features a gorgeous design, premium build and the Moto Mods support provides extended functionality based on what you require from the smartphone, from extra battery power to an improved speaker and even a built-in projector. Despite the smaller battery, the Snapdragon 626 processor is incredibly efficient and we comfortably lasted a day on a single charge, and when we did run out it was quick to top up thanks to the included fast charging tech. It holds its own against competitors in our benchmark tests, and real world use is decent. For overall quality, however, I'm giving the phone a 7 out of 10 -- if pricing is a lesser consideration for you, or if it happens to go on sale, I'd happily recommend this as a solid mid-range choice. The design of the Moto Z2 Play is better, including the rounded home button and the back that’s not such a fingerprint magnet, but for anyone currently using the original Moto Z Play, you’re not going to find anything that’s worth upgrading for. If you’re upgrading from something else, there’s plenty to love here, but you might want to see what the older model is selling for before you make a commitment to anything. With little to no slip-ups in use, the Z2 Play secures its commendable position in the mid-range market. Indeed, it's the same price as the Honor 9 and undercuts the OnePlus 5 in the price stakes, which brings it right into contention. So if battery life and being a bit different with Mods appeal then, go on, jump right in - the Z2 Play is a really interesting prospect. The Moto Z2 Play is thinner and lighter than its predecessor, but is still an Android phone that focuses heavily on if battery life. It may not last nearly as long as the top-battery-life-rated original, but it strikes an acceptable balance between style and longevity. Plus, the specs boost should suit power-hungry phone buyers nicely. Lenovo has managed to make the Motorola brand stand out from the rest in the industry by pursuing a direction and sticking to it. Motorola stands by the modular approach and we commend the bravery. The Moto Z2 Play is a testament to that. It’s a beautifully crafted phone, well balanced, can proudly stand on its own or conveniently maximize itself with the Moto Mods collection. For £379.99, the Moto Z2 Play already appears to be an excellent phone. It looks great, feels nicer than the price suggests, and doesn’t seem to be lacking any major feature. I’m yet to fully be convinced by Moto Mods, and in some ways I wish the Style Shell was just part of the phone. These minor points aside, the Moto Z2 Play could be the new mid-range device to beat. If you’re looking to jump into Motorola’s Mod ecosystem, now is the best time to get in it. There’s more mods available for the device than ever before, and with Motorola’s 3-year backwards-compatibility commitment for their phones, you can be sure that there will be a ton of Moto Mods avaiable to purchase for the phone in the months ahead. When it showed up at the tail end of 2016, we loved the Moto Z Play and its weird yet wonderful take on the modular mobile. It had fantastic battery life, too, but couldn’t quite edge out the cheaper OnePlus 3 as our go-to phone below £350. The Moto Z2 Play is currently a Verizon exclusive, and if you buy it by July 26, the JBL SoundBoost Moto Mod is included for free. If you are not on Verizon, there is an unlocked version that will be available later this summer, priced at $500. That is a $50 hike when compared to its predecessor, and is definitely a steep ask considering that it’s a mid-range device. There’s really no doubt that the Moto Z2 Play is a great phone. While the specifications might not be cutting edge, the phone still manages to deliver fast performance, a clean build of Android and the promise of fast updates. Add to that the satisfactory battery life and the Moto Z2 Play certainly looks quite appealing. If you want a sleek modular smartphone running stock Android then the Moto Z2 Play is pretty much your only option. However, if you aren’t interested in the Moto Mods then you can go for some other options available in the market. The Moto Z2 Play is an important phone, if only because it's keeping the Moto Mods story going. It's incredible that the project has lasted as long as it has, and other manufacturers would have thrown in the towel long ago (just look at LG or Google), so we love the fact that the Z2 Play exists at all. That’s pretty much it for this hands-on. We don’t have local pricing as of yet – we’ll update you once we get pricing details. The phone is slated to arrive at either third or fourth week of July in the Philippines. Over at MWC Shanghai 2017, the Lenovo booth featured the hotly-discussed Moto Z2 Play. This smartphone was based off the well-received Moto Z Play, which did fairly well in our benchmarks. Our first impressions with the newer devices helped us discern the differences between the two. We also spotted two new Moto Mods that will be joining its proprietary range of modular attachments. Buy it if you are Moto fan as well as a fan of Vanilla Android. If you have to choose the Moto Z2 Play, you probably have a chunk of money to spend it on the Moto Mods, right? The Moto Z2 Play is certainly an interesting mid-range smartphone, but whether or not it will be a compelling device will depend almost entirely on how much it will be priced here in Malaysia. To put things into context, its predecessor, the Moto Z Play, went for RM1,799 locally; that’s already pretty steep for a mid-range smartphone. There’s very little to complain about the Z2 Play. The only flaws I found irritating include the slow auto-focus, tiny buttons, and that’s about it. However, it’s priced on similar lines as the OnePlus 3T which is a significantly more powerful handset in terms of specs (and still on sale in India at least). This brings me back to the discussion I mentioned earlier. Now, if someone asks me to suggest a smartphone which both stands out and is powerful enough to stand straight for at least two years, I would, without hesitations, suggest them the Moto Z2 Play. Lenovo has priced the Moto Z2 Play at Rs 27,999 in the Indian market. The price of the Z2 Play places it as a premium device with a Qualcomm Snapdragon 626. The company has decided to focus on the overall experience instead of engaging in a race to pack the latest and greatest in terms of specifications. The final result of this direction has paid off as the Moto Z2 Play is an impressive device with great battery backup, stock Android with good additions in terms of Moto Actions and Moto Display. Those interested in what the Moto Z2 Play has to offer will need to be directed towards Verizon Wireless in the US, since the carrier has an exclusive on it… at least for now. However, an unlocked version of the phone will go on sale later in the summer for $499, which is a $50 increase from last year’s starting price. Indeed, the pricing is a bit high considering it’s in the mid-range category, so it’ll be intriguing to see if that’ll have a huge impact on consumers’ decisions. Finally, I love the little things, like the speed and placement of the fingerprint sensor, and the way the camera takes reliable photos in basically any lighting condition. I appreciate the aluminum back, which means I don't have to wear a Style Shell if I don't want to. I love the well-calibrated side buttons. Moto Z2 Play review: Camera works well, but where are the new Mods? Moto Z2 Play is an ambitious smartphone given the whole Mods coupled with an ultra-slim design. But the phone does have mid-level specifications, for its price tag of Rs 27,000. Could Moto have added the 820 series here? Perhaps. The problem is that the competition has options like OnePlus 3T with its Snapdragon 821 and 6GB RAM. Samsung Galaxy C7 Pro can be considered as well, and this phone has an excellent camera too. The new Moto Z2 Play has a 3000mAh battery and the battery backup is not as good as the last generation model. It can still last one day with basic to moderate usage and also supports fast charging. On heavy usage days, you will have to charge it mid-day but you can always use a battery mod with the device which ensures up to 2 days of battery backup. The Moto Z2 Play is an extremely solid smartphone from Motorola and does almost everything right. It is undoubtedly Lenovo-owned Motorola's best smartphone yet and points towards great things from the company, at-least when it comes to their flagships. Only few things like the rear camera's poor low-light performance, overpriced Moto Mods (they range from Rs 1,999 to a whopping Rs 19,999) and a tinny loudspeaker let it down. Moto Z2 Play is priced at ₹27,999. Even though the pricing seems a little premium, Motorola still holds the brand value and its unique modular design. We will be reviewing the device soon. This makes it hard for us to immediately recommend the Z2 Play over the competition. It's still a great option if, for some reason, you have any doubts about the smaller brands which are focused on undercutting the major ones with better specs for your money. Of course, you can always wait out on your purchase until the Z2 Play goes through a price revision or two. With the right price, it certainly has the potential to become a no-brainer purchase like its predecessor. The Moto Z2 Play is worth considering if you're buying a smartphone in the sub-30k price range. It has a good camera, long battery life and an innovative gimmick with modularity. Strong battery life, clever software and magnetic Mod add-ons make the Motorola Z2 Play a compelling midrange choice. The Z2 Play isn't just any other mid-range smartphone. It's a one-of-a-kind device that opens a gateway to a whole new modular ecosystem. It's a smartphone that can be transformed into anything from a portable music system to a superzoom camera in a jiffy. And considering all of that, it's value-for-money, even with the additional cost of the Moto Mods included. The Moto Z2 Play is worth $499 and will be available starting this summer. It will be offered through Verizon and will be unlocked. Motorola gave the Z2 Play a good processor that, though not cutting-edge, kept everything from basic navigation to games like Riptide Renegade running smoothly. Though it scored on the lower end of our benchmark graphics test (3D Mark -- Ice Storm Unlimited), I didn't notice lag time while browsing, scrolling and generally getting things done. Still, the Z2 Play provides a great mix of what matters without any unnecessary stuff piled on. And it does so with better battery life than even most flagships can provide. When you think about it, isn’t that all you really want from a phone? If you find Moto Mods enticing then the Z2 Play is a super phone with plenty to offer beyond its quirky unique selling point. If Mods leave you cold given their cost and size implication then, well, we think Moto will be in a great place to deliver an excellent Moto X (rumoured to be in the third quarter of 2017), which might well be the perfect fit. Between now and then, however, we suspect the imminent OnePlus 5 will ask some tough questions. 78% Ein neues modulares Akku-Wunder? Günstiges Flaggschiff, oder teure Mittelklasse? 80% Test Du Motorola Moto Z2 Play : Le Meilleur Du Milieu De Gamme ? 75% [Recenzja] Moto Z2 Play z Moto Mods – dlaczego warto zainteresować się modułami? 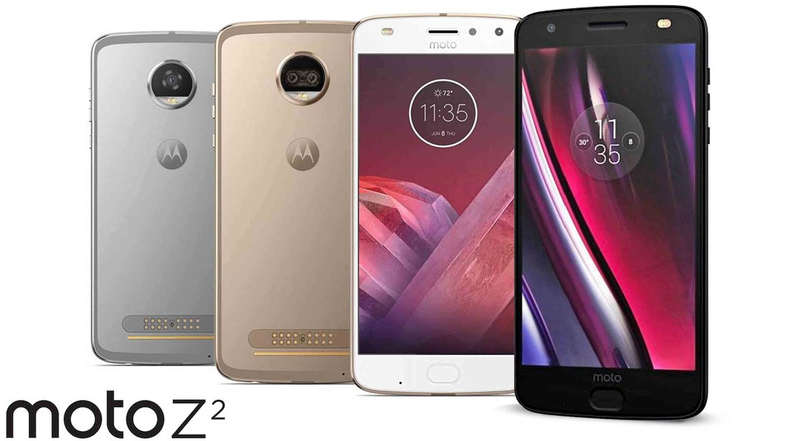 72% Đánh giá chi tiết Moto Z2 Play: Thế này mới gọi là chất! Estes processadores gráficos podem mostrar fluidamente só jogos antigos. Jogos atuais só podem ser apresentados com detalhes substancialmente reduzidos. SoC ARM de gama alta com 4 núcleos de CPU (dois núcleos velozes de 2,15 GHz em um cluster e dois núcleos economizadores de 1,6 GHz) e uma GPU Adreno 530. Produzido em um processo HPM de 14 nm. SoC octa-core de gama média com oito núcleos de cpu ARM Cortex-A53 com até 2,2 GHz, uma GPU Adreno 506, um controlador de memória DDR3L-1866 e um modem X9 LTE (Cat 7). Produzido no moderno processo de 14nm. SoC de gama alta para smartphones, que foi apresentado no início de 2017 e é produzido em 10 nm LPE FinFET na Samsung. Integra 4 Kryo 280 a 2,45 GHz (máximo) para desempenho e 4 Kryo 280 a 1,9 GHz (máximo) para eficiência. Além disso, oferece um modem X16 LTE, ac-WiFi e um controlador de memória LPDDR4x de 32-bit de 1866 MHz de dois canais. Apenas alguns smartphones são mais leves que isso. Este peso é típico para smartphones. 81.03%: Esta avaliação é para ser considerada como média, porque a quantidade de portáteis com melhores avaliações é quase a mesma que a quantidade com avaliações piores.>> Mais informação pode ser encontrada na nossa Laptop Guia da Compra.